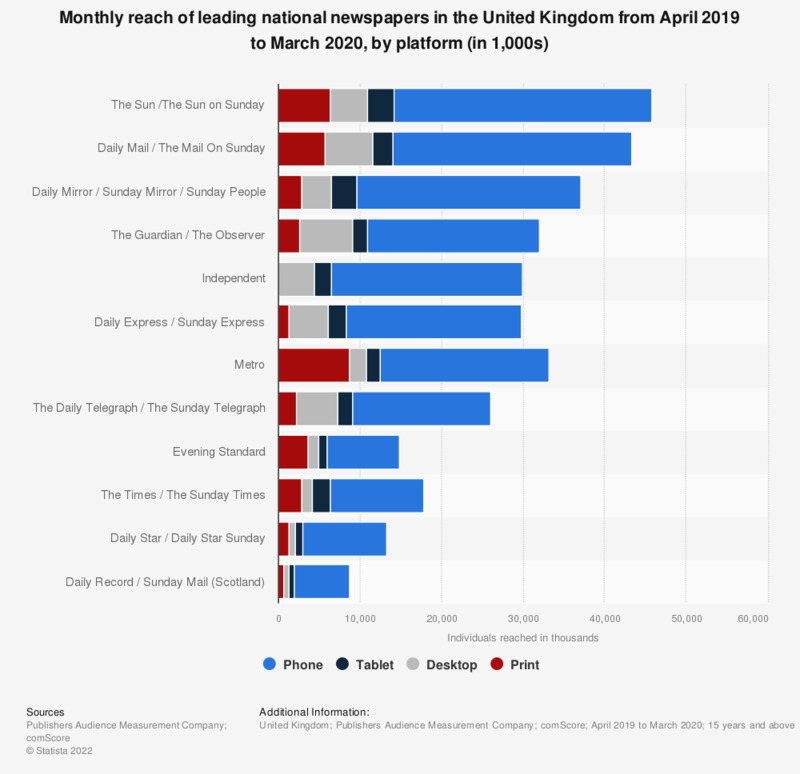 This statistic shows the average monthly print and digital reach of leading newspapers in the United Kingdom (UK) from January 2018 to December 2018. The Daily Telegraph/The Sunday Telegraph had a tablet reach of around 2.8 million individuals monthly. The source adds the following information: "Duplication of reading between the print and digital platforms will be adjusted to match observations from the PAMCo panel. Duplication of reading between the digital platforms is matched to comScore." Everything On "News media in the United Kingdom (UK)" in One Document: Edited and Divided into Handy Chapters. Including Detailed References.